Daniel Mitel is the actual Custodian leader of the ancient The School of The Heart (TSOTH), the ancient organization that helps humanity to reconnect with the Higher Selves, to create from the heart and to remember who we really are. He is a world traveler Master helping people understand their intimate connection to their Inner Selves. He is the first person in the world (in modern times) to explain and define the origin of the ancient Heart Imagery system. Heart Imagery, the ancient system that originates from ancient Tibetan, Sumerian and Vedic spiritual mystery schools, is connected to the highest number of Mystery School: 555. It is related to the Adamic Race, with the power of dreaming and reversing the past, present and future. Daniel began teaching Zen Meditation in 1981 and from 1981 to 1992 he practiced the spinal breathing" meditation; later he found out that, in fact, he practicing the Kriya Pranayama of Kriya Yoga Great Master Babaji. He has been is teaching Heart Imagery workshops world-wide since 1996. 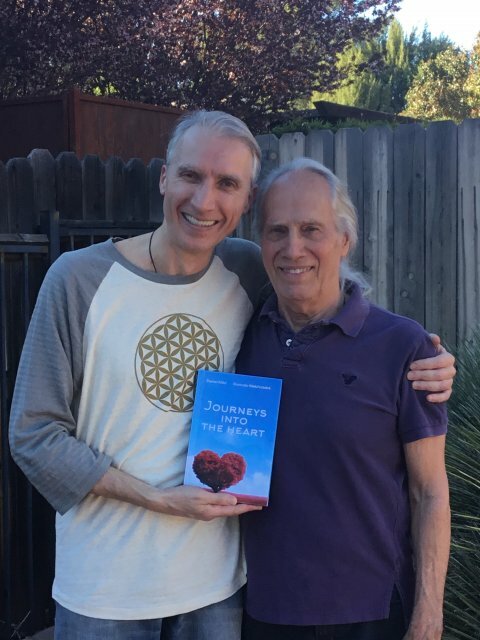 In 1991, Daniel began meditating with the Romanian Mystic, Lady Ana, who connected him with "The School of The Heart"; a school created thousands of years ago by the Masters who understood that the only way to remember who we really are is to reconnect with the energy of the heart. After spending a couple of years in meditation in North of Tibet, in 1999, Daniel took over the leadership of "The School of the Heart". Ten years later, in Toronto, he created "The School of Meditation". Daniel is teaching also three very important workshops: "Kriya Yoga (The Spinal Breathing)", "The Power of The Heart and Inner Healing" and "Journeys Into The Heart". International lecturer and Martial Arts Master (Tai Chi Master and Karate Traditional Black Belt 5 DAN in WJKA - World Japan Karate Association), Daniel is dedicated to inspiring the world to move from violence to peace and from anger to love. Throughout his work, workshops and spiritual conferences, Daniel has changed the life of thousands of people. Before and after Tibetan Great Masters, Daniel worked with a group of well known Masters from different schools of meditation, amongst whom are Osho, Dalai Lama, Kriya Yoga Great Masters, Lady Ana, Di Yu Ming, Drunvalo Melchizedek, Anastasia, who train their students to be in the Heart. Now, together with his own workshops, Daniel Mitel brings the Awakening The Illuminated Heart workshop to the world. Drunvalo Melchizedek had appointed Daniel in the first Council of School of Remembering: Awakening The Illuminated Heart (ATIH) Teacher's Council. As a Mentor of Drunvalo Melchizedek' School of Remembering, Daniel helped and trained ATIH teachers from all over the world. As co-founder of Motivate Yourself organization, and as GCI (Global Coherence Initiative) Ambassador in HeartMath Institute, Daniel actively teaches in companies all over the world. The project "Beyond The Limits" together with UN Environmental Programme Goodwill Ambassador and Chairman and Pilot of SOLAR IMPULSE, Bertrand Piccard, represents a step forward in helping the humanity to go towards a cleaner environment, a better world, a better future. Interviewed all over the world and constantly invited to write articles in magazines and on-line publications (Spirit of Ma'at, Collective Evolution, Lilou Mace, OMTimes, etc.) Daniel is one of the most prominent Masters of Meditations known worldwide. He shows the inner power that you can achieve using your Heart's unconditional love. Daniel is blessed to work with children, teaching them Tai Chi and Meditation. As a visiting teacher in Montessori Schools, Daniel has changed the life of hundreds of children through his work. He has worked and helped many children who have different developmental disorders, including Attention Deficit with Hyperactivity Disorder (ADHD), Attention Deficit Disorder (ADD) and Autism. Oftentimes only a few Imagery exercises were needed, or some Tai Chi and Qi Gong sessions and the children were back to their true essence. Some of them were Indigo, Crystal or Rainbow Children. That was their "disorder"! Daniel also has an extensive academic background: B.Sc. in Computer Engineering, B.Econ. (Hons. ), Diploma in Management and MBA from Open University Business School, UK. Daniel's books "This Now Is Eternity" and "Heart Imagery: A Path To Enlightenment" are highly regarded as some of the best meditation and spiritual guide books all over the world. His new book, "Journeys Into The Heart", was written together with one of the most influential spiritual personality of modern time, Drunvalo Melchizedek. "Journeys Into The Heart" was triggered by Drunvalo's and his own personal search for the best methods and meditations of creating from the heart. It is not a simple book. It is a manual of spiritual seekers. In August 2016, Daniel was featured in OM Times Magazine as one of the best conscious community writers in the world. I expected that the knowledge I would gain during the workshop to help me connect the dots and use the teachings daily. Instead, I completely abandoned this education. I don't blame the teacher, but the shift I expected did not happen. This workshop is life changing . I loved it and enjoyed all days of the workshop.A lot of new information and knowledge as well as the technique to enter the heart and act from the tiny space of the heart. Thank you for a real journey into the heart. Daniel is an amazing heart-centered Master. I really appreciate his vast knowledge in the subject plus the confidence he gave us to truly achieve the workshop objectives. An infinite source of inspiration indeed. I feel motivated and grateful and I can't wait to continue learning and experiencing life from my heart. Thank you Master Daniel! As Always Daniels, workshop was Amazing a blissful experience. Thank you ???? It is always so great to be with Daniel, listen and experience all he has to teach us! This workshop changed my life, changed me... This should be thought in schools!